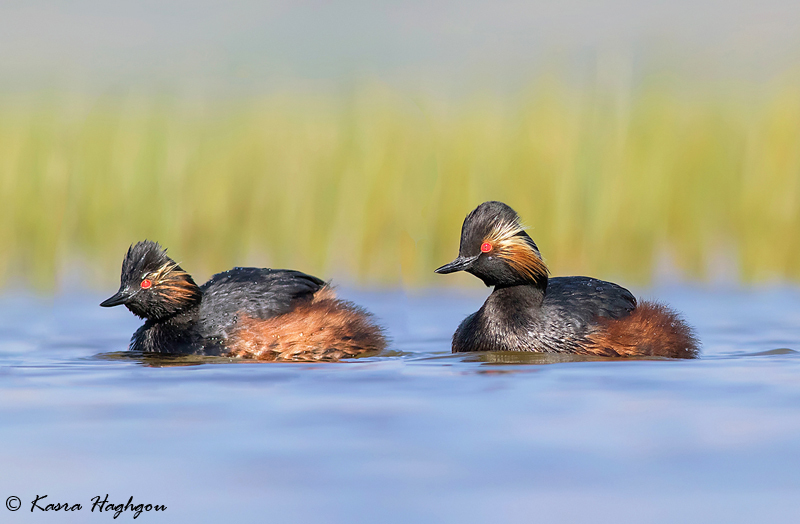 A lovely eye level view of these pretty little grebes, Kasra. They have such amazing eyes! Very pretty with the soft water and background. Gorgeous shot, in many ways looks like the west's Eared Grebe. Great separation of the subject and nice colors. Kasra, an amazing low angle on this pair. Congratulations. Nice frame, low perspective and great background. the angle is perfect and the exposure on the couple is awesome, the added bonus is the calm water.